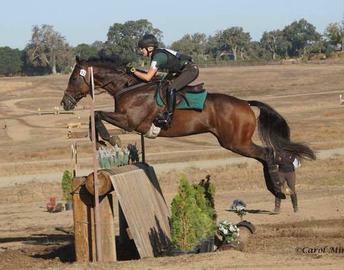 "Update" is an '08 Thoroughbred gelding, owned by Full Gallop Eventing. He was purchased as a Christmas gift for Erin from Virginia, where he was in training at the prestigious Whitewood Stables as a steeplechase horse. Update has competed successfully through Preliminary, CIC1* and most recently finished 4th out of 50 starters in the Galway Downs CCI1* in November. 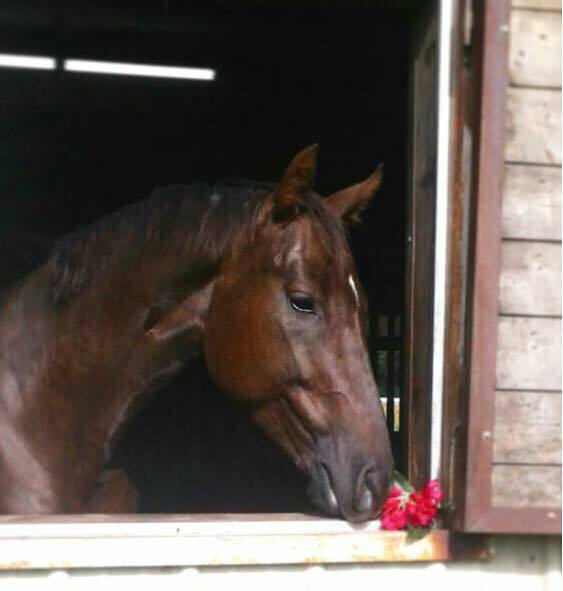 Campari is a 2010 Holsteiner gelding, owned by Team Rebecca and competed by Marc through the Intermediate/CCI* level. In 2017 he won the Preliminary at Rebecca Farms, as well as his first intermediate at Fresno County Horse Park in the fall. 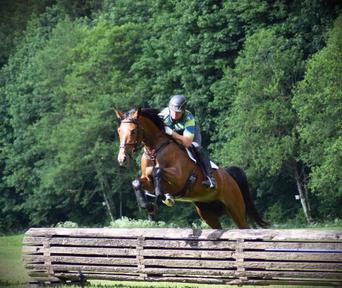 Campari is an incredible athlete and will work towards the CCI2* this year. Many thanks to the Broussard family for their generosity and support of Marc and Campari. "Gilde" is a 2011 Dutch mare owned by the Full Gallop Syndicate. 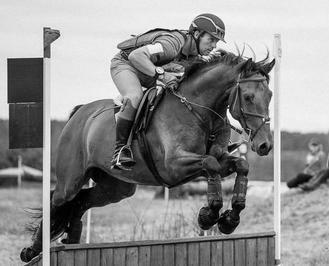 Gilde is well bred, with siblings at the upper levels of Eventing. She is incredibly athletic, and shows all the power necessary to reach the top! She is a powerhouse on cross country and has really taken to her job, moving successfully up to Preliminary this year. We have high hopes for Gilde's future! There are shares available in the Full Gallop Syndicate. Contact us for more information on how to become part of Team Gildegunde! "Watusi" is a 2013 Oldenburg gelding bred by Sunsprite Warmbloods and owned by a partnership between Sunsprite and FGE. Watusi is a lovely young prospect, with the brain, movement, and bravery to make it to the top! Last year he placed 2nd in his first event in Novice and in the 4yr old YEH at Rebecca Farm in July. He was the 2017 West Coast 4 yr old YEH Champion and recently won the 5 yr old YEH competition at Twin Rivers! "DJ" was a beloved Appendix QH gelding who was owned by Laura Clark and ridden by Erin. 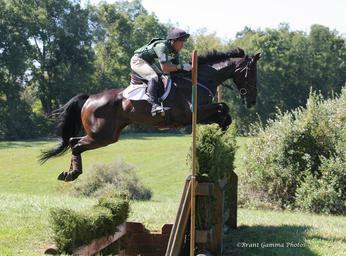 DJ and Erin competed through the CCI* and Intermediate levels and was an inspirational part of our team. He truly was a real life unicorn with a heart of gold. He is sorely missed. "Beamer" is an '08 Oldenburg gelding owned by the Beamer Syndicate. Beamer has competed through the CIC2* level, winning Aspen Farms International Event in 2016. He has lovely movement that makes him competitive in dressage, and a super sweet personality to match his gorgeous amber eyes! CONGRATULATIONS to Laura Clark on her purchase of Indio BMW!!! We are very excited to watch their partnership develop.